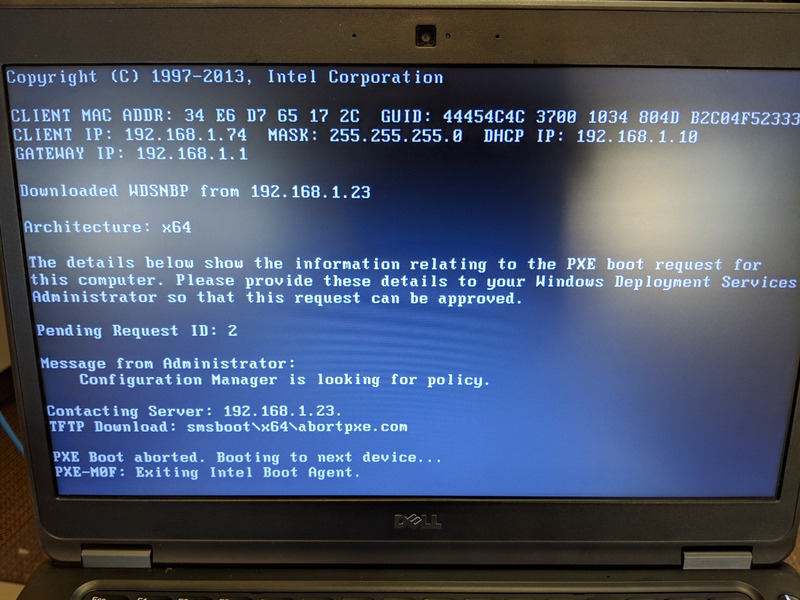 Can you ping pxe agent when it booted? Seems like it is a simple network problem. Normally when pxe image starts it gets the ip from dhcp. Check if it is pingable and if it is trying to access the correct address for an image. Clarification *** I have attached a screen shot of my issue. (I misquote above, I need to hit a key for restart, it does not auto restart) It looks like it identifies the server. I forgot to modify the group I was attempting to deploy to!